AFRICANGLOBE – Ethiopia is building a giant hydropower dam on the Nile. The project, however, makes Egypt unhappy, as its water supply could be threatened. Though both countries could find ways to benefit from the Grand Ethiopian Renaissance Dam, neither has displayed exemplary conflict-management skills. For its part, Ethiopia, home to the main sources of the Nile, has been steadfast in ignoring the understandable concerns of Egypt, a desert country that depends on the river for 95 percent of its water. When Ethiopia began construction of the biggest hydropower facility in Africa, it did so without consulting Egypt. Neither country is well-positioned to get its way. 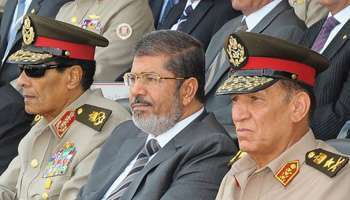 Egypt’s revolution has weakened its government and left the country without a superpower patron. Gone are the days when it could dictate its dominance over the Nile, which it bases on colonial-era agreements that upstream countries have long dismissed. Ethiopia, meanwhile, is paying a high price for its heavy-handedness. Because the World Bank and other multilateral lenders frown on international waterway projects that lack approval from each shoreline state, Ethiopia is financing the $4.3 billion project on its own. It has resorted to pressing its impoverished population to buy bonds. And the dam is only 20 percent built. This is all lamentable. The dam could benefit both countries. Ethiopia is well-suited to generating hydropower because of its high mountains and surprisingly abundant overall rainfall. What’s more, the power would be valuable both to Ethiopia, where 83 percent of people have no electricity, and its neighbors, to whom Ethiopia has offered to sell surplus energy. Hydropower is usually a fraction of the price of electricity produced using fossil fuels, on which Egypt is 90 percent reliant for power. Ethiopia also has an interest in ensuring Egypt is comfortable with the dam: Only then will it be able to get the financing it needs to complete the project without paralyzing its economy. Similarly, it’s in Egypt’s interest that Ethiopia finish the project. Not only would the dam provide Egypt cheap energy, but it would also expand the market for Egyptian goods and services by improving Ethiopia’s standard of living. So what should be done? Ethiopia plans to take five to six years to fill the dam’s 74 billion cubic-meter (2.6 trillion cubic feet) reservoir; it points to a report that shows the river’s downstream flow won’t be significantly affected. Egypt has said the report was insufficient to determine the impact. Ethiopia could bridge the divide by agreeing to fill the dam’s reservoir more slowly. It could also agree to conduct studies on the dam’s environmental impact, which hasn’t been investigated. Egypt should acknowledge that a decline in the Nile’s flow wouldn’t necessarily be catastrophic. Its water needs are not fixed. In recent decades, the country’s agricultural sector has become more water-efficient. Focusing on high-end crops — fruit, vegetables and flowers — could defray the cost of additional investments in efficiency, such as drip irrigation. The sooner Egypt accommodates upstream dam-building, the better off it will be. The realistic course is to trade approval of the Renaissance dam for terms that would benefit countries upstream and down.